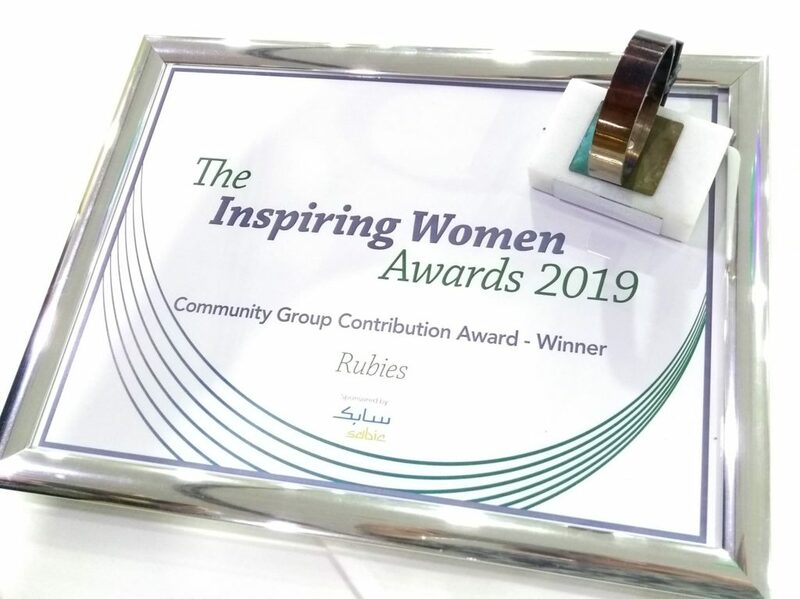 On Friday 8th March, Liz and Krista were delighted to collect the ‘Community Group Contribution’ Award on behalf of Rubies at the 2019 Inspiring Women Awards. It was great to be part of an event focusing on the strengths and abilities of women and girls in our area! Rubies has been awarded over £9000 by County Durham Community Foundation from the ‘Tampon Tax Community Fund.’ This fund allocates money generated from the VAT on sanitary products to fund organisations that improve the lives of disadvantaged women and girls. The grant will help us develop the work of the charity over the next 12 months and has enabled us to appoint Liz Edwards as our part time C.E.O. We will be focusing on strengthening our relationships with local schools and on recruiting, training and supporting new volunteers so that we can reach more girls with the message that they are valued and unique. 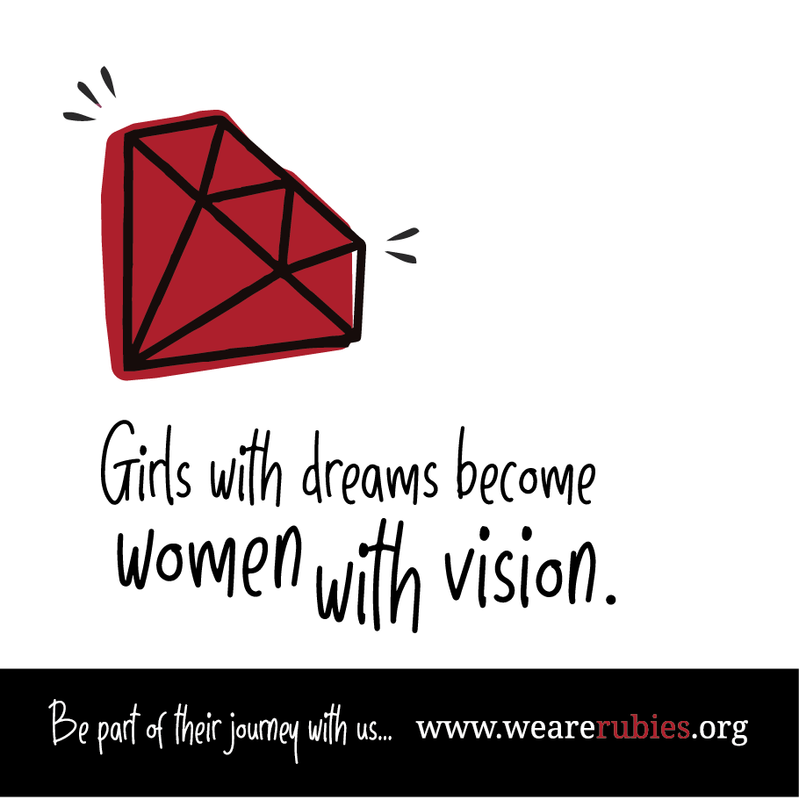 If you’d like to find out more about volunteering for Rubies in 2019, please get in touch! 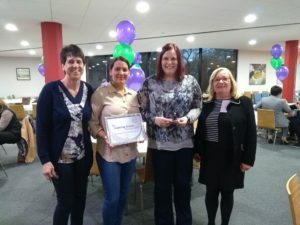 Our Co-Founders Liz & Krista were presented with a cheque for £1000 from Tecnicas Reunidas UK in Tessport as part of their monthly safety campaign. The company is currently building the new Biomass Power Station off Tees Dock Road, Middlesbrough and are keen to support local charities. 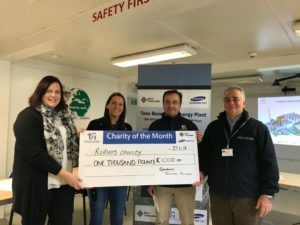 Rubies was nominated as their charity of the month for October 2018. 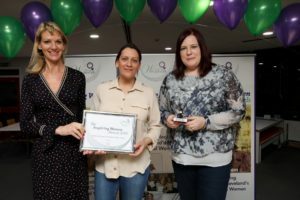 Liz & Krista were delighted to attend the site to receive the cheque and to hear about the opportunities the company offers for women to work in the engineering sector. We are grateful to have received £5000 from ‘Seedbed’ to help us develop the work of the charity. This will make a huge difference to Rubies as we seek to expand the delivery of our 10 week courses in local primary schools. Liz Edwards, one of the founders of Rubies, and the chair of trustees, Emma Hines, picked up our first official cheque as a registered charity. 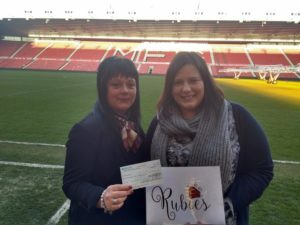 Thank you to everyone who voted for Rubies in the Golden Giveaway; we received a cheque for £1000 at the presentation by Teesside Philanthropic Foundation at The Riverside.